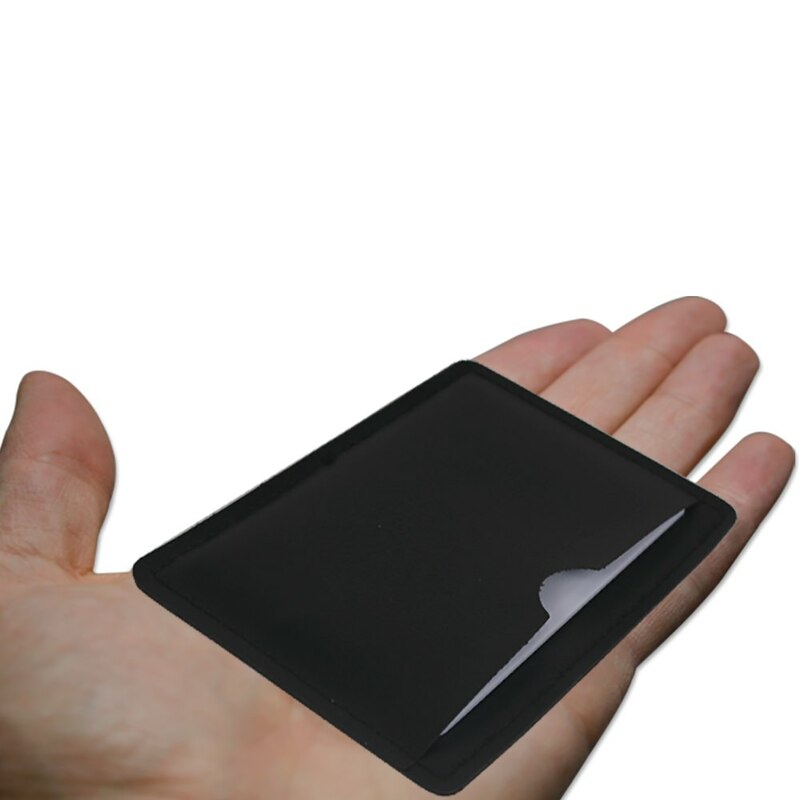 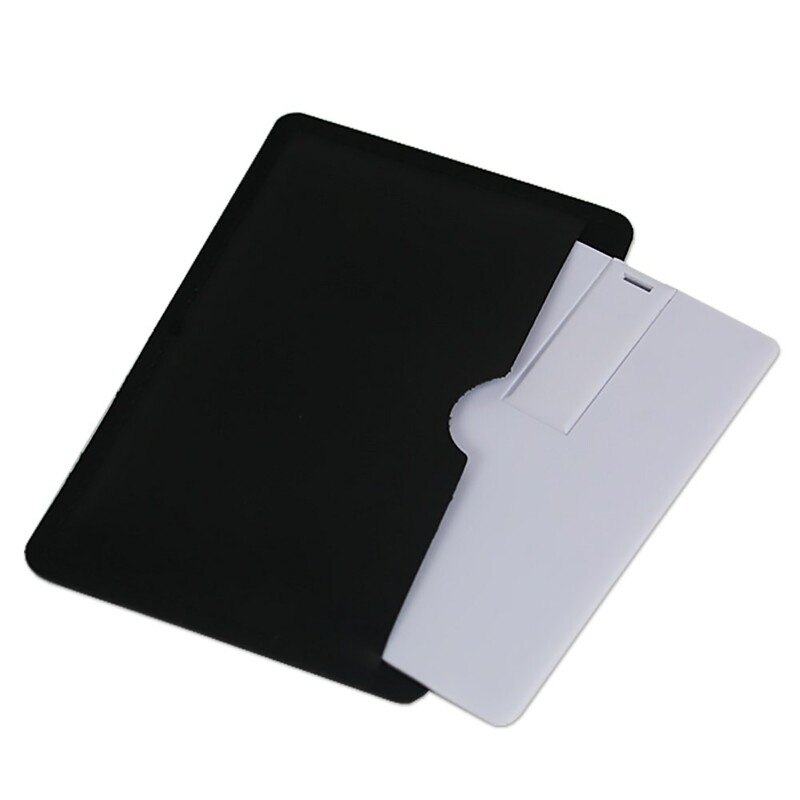 Your credit card size USB flash drive will be protected and concealed in these black vinyl card USB sleeves. 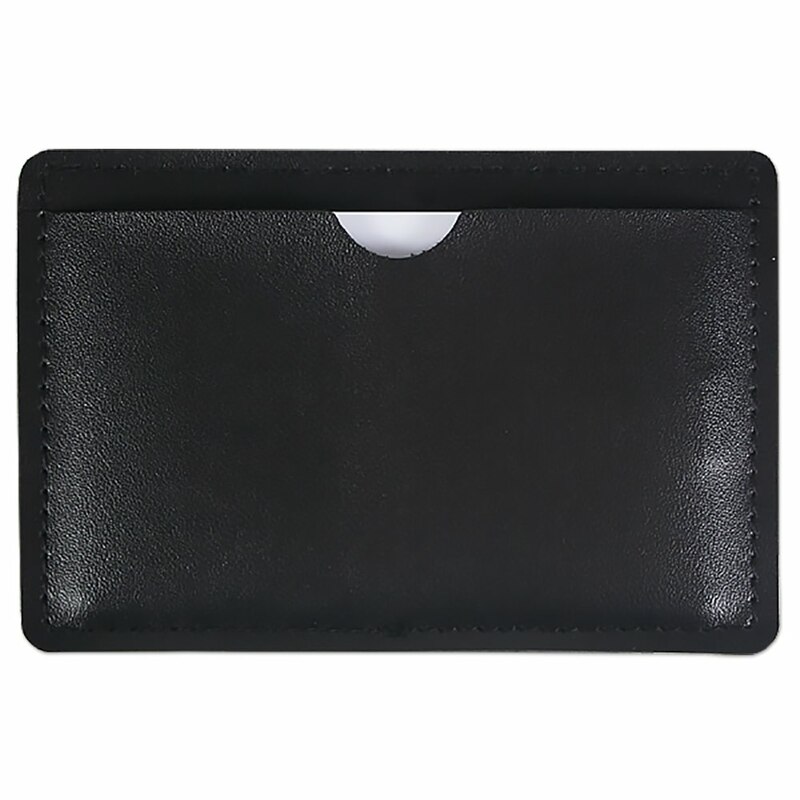 Perfect storage and protection for carrying in a wallet, purse, or brief case. 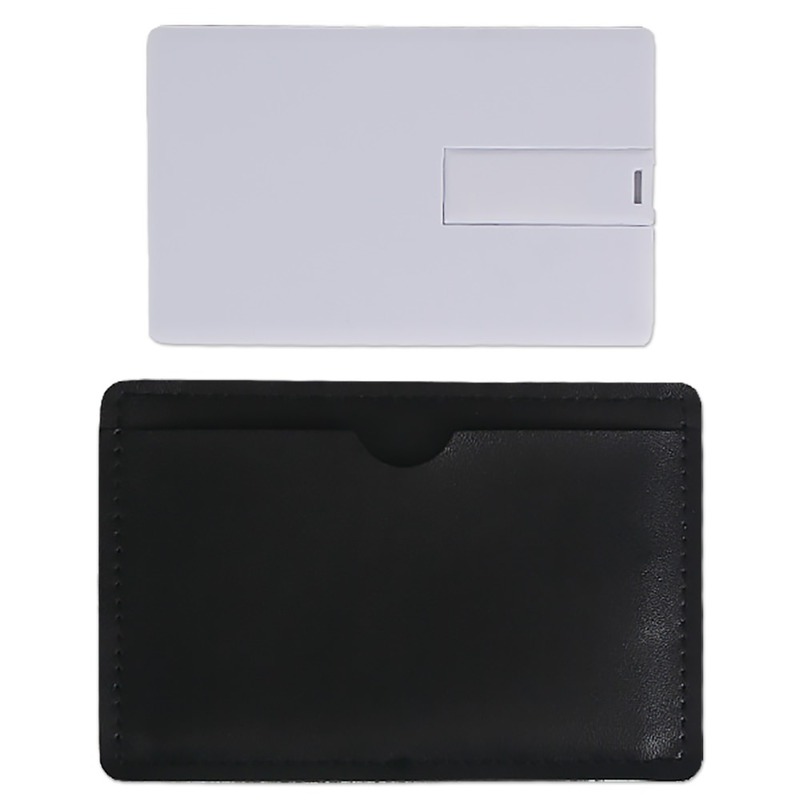 The Black Vinyl Sleeve for Card USB is a great option for marketing and distribution of your data and logo on a Card USB Flash Drive. 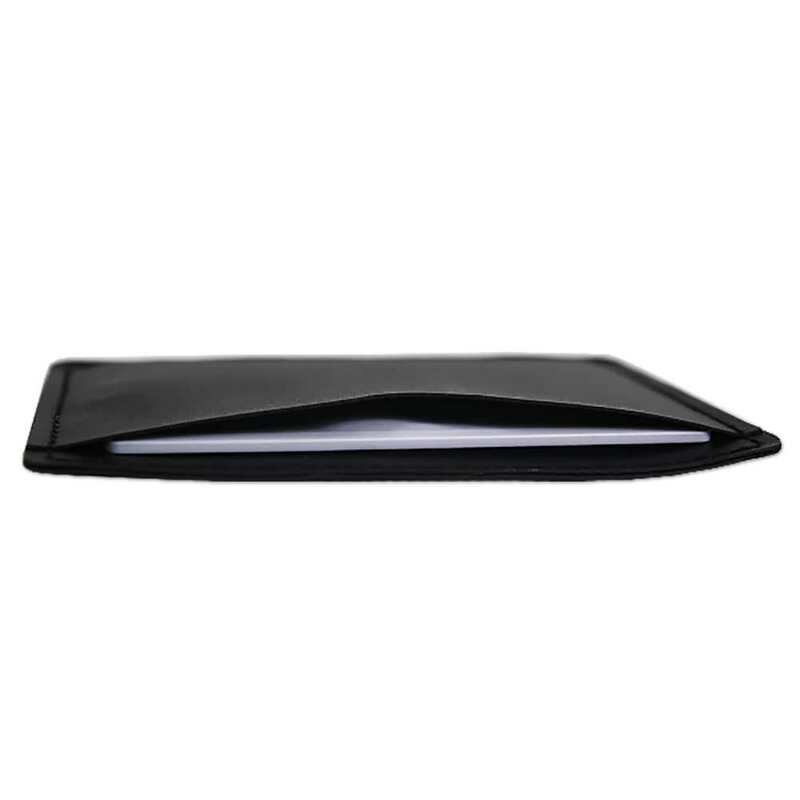 Designed with a thumb slot opening on the side for easy retrieval, these sleeves make transporting and storage worry-free!